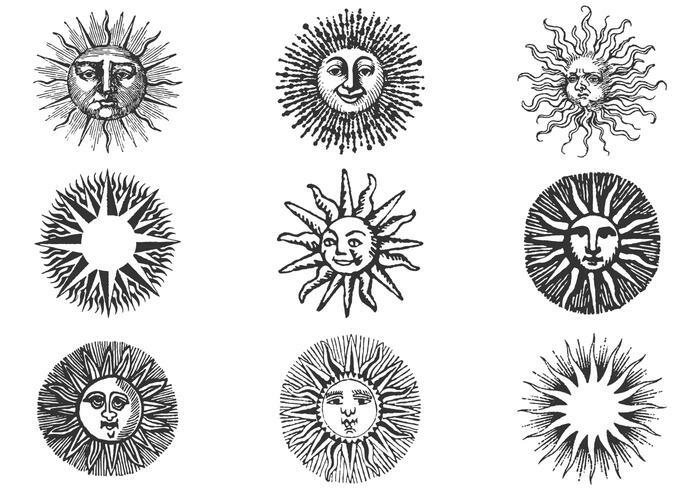 Hand Drawn Ancient Sun Brushes Pack II - Free Photoshop Brushes at Brusheezy! Be sure to get the new Hand Drawn Ancient Sun Brushes II! With such a great ancient look, you won't be able to resist these ancient sun brushes and you'll want them to add to your collection. You will just love these ancient sun brushes! Want the vector version instead? Get the <a href="http://www.vecteezy.com/signs-symbols/61666-hand-drawn-ancient-sun-vector-pack-ii/premium">Hand Drawn Ancient Sun Vector Pack II</a> over on Vecteezy!